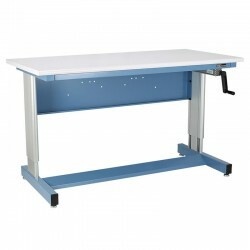 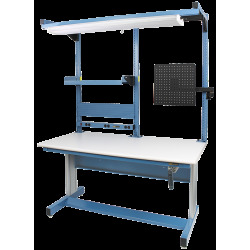 IAC's Multi-Task System II (MTS-II) upper structure for stand alone workbenches utilizes a two-vertical-post design. 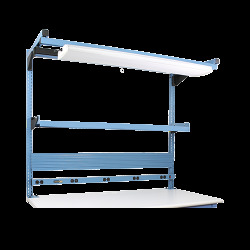 The absence of a middle vertical, as used on the MTS System I, allows the mounting of full length accessories such as shelves, parts cup rails, and electrical channels. 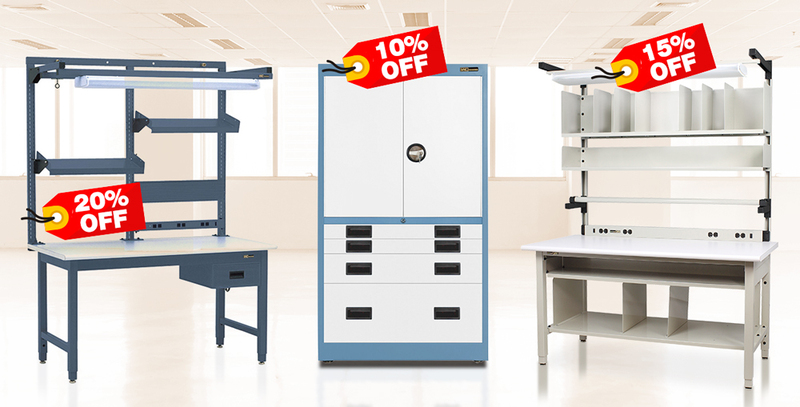 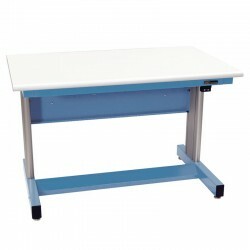 The Multi-Task System enables users to configure above-the-worksurface storage and accessories on an existing workbench. Perfect for upgrading on a budget! 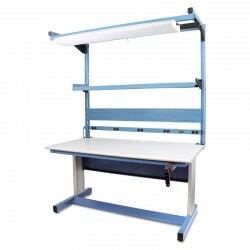 Half-length options are easy and convenient to adjust from side-to-side as needed. 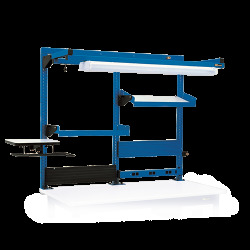 The double slot design provides secure accessory mounts and vertical positioning in 1" increments. 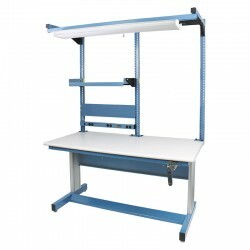 MTS upper structures will fit most benches, provided there is a clear 1-1/2" overhang in the rear. 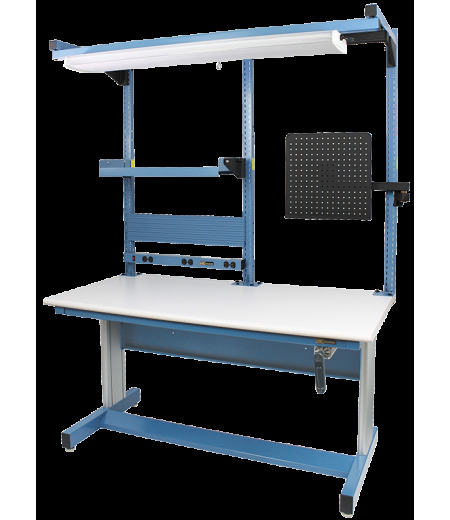 A 16-gauge tie beam tops the frame system.